New Australian Prime Minister Mr. Scott Morrison has got a first press scandal on his hands. Whereas his predecessor Mr. Turnbull had to deal with the aftermath of Sky News being abolished from public transport over a Blair Cottrell interview (see our related coverage), for Mr. Morrison it is ABC News and his government’s claimed ‘journalist hit list’. 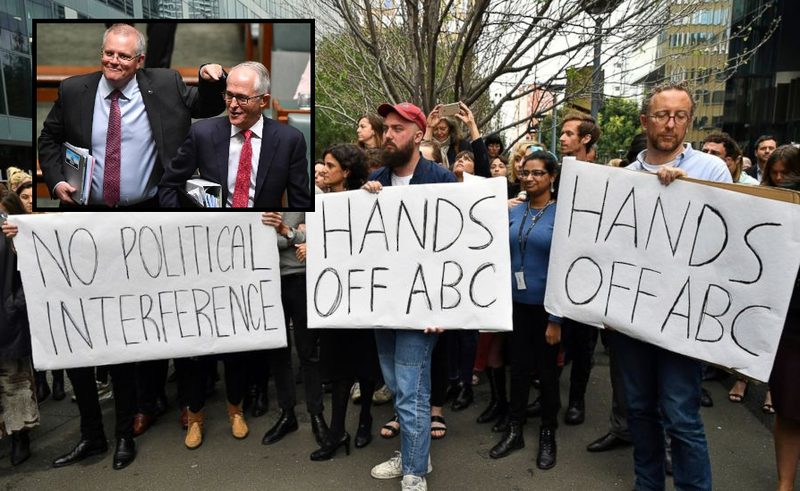 The Australian press says it has proof that former PM Mr. Malcolm Turnbull had asked ABC chairman Mr. Justin Milne (who has by now resigned) to get rid of senior journalists which were critical of his government’s plans. Related coverage: <a href="https://thegoldwater.com/news/33448-Australia-Sky-News-Banned-From-Trains-After-Cottrell-Interview-Video"> Australia - Sky News Banned From Trains After Cottrell Interview (Video)</a>. Mr. Milne allegedly told ABC’s managing director Ms. Michelle Guthrie to ‘shoot’ political editor Mr. Andrew Probyn after a conversation with then Prime Minister Mr. Turnbull for being too critical of his liberal government. Afterward, the same happened with economics journalist Ms. Emma Alberici. During an angry exchange with Ms. Guthrie, Mr. Milne reportedly told her "you have to shoot" Probyn, saying the then prime minister "hates him". After those events, Mr. Milne then emailed Ms. Guthrie, demanding she also fire presenter Ms. Emma Alberici. On May 8, a day after PM Turnbull complained to the ABC's news director about an Alberici report on government spending, he emailed: "They (the government) hate her. Get rid of her. We need to save the ABC, not Emma." It is well known that Mr Milne and Mr Turnbull are friends and former business associates. However, current Prime Minister Mr Scott Morrison, who took over from Mr Turnbull after a no-confidence vote, backed his political colleague, stating: "The idea the government has some list and telling the ABC who should work there is complete rubbish." He furthermore claimed that the ABC "isn't perfect" and when they get things they wrong they need to be "called out". They are more effective with journalist hit lists in mexico.